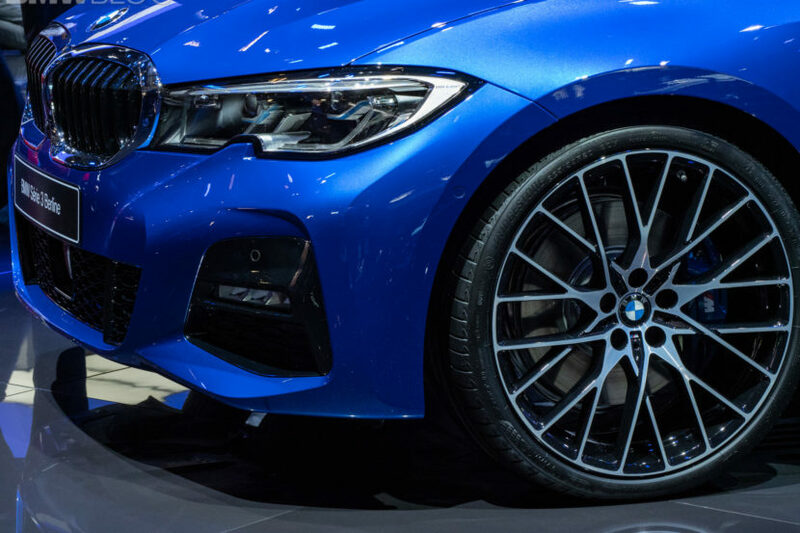 The new BMW 3 Series made a big splash in Paris and we were there to witness the launch of the 7th generation of the most important BMW model. As always, while on the ground at the auto show, we managed to capture the new 3 Series on video and through photos. Some of them were posted on our social media channels (Instagram, Facebook and Twitter) while other videos were uploaded on the BMWBLOG Youtube Channel (Subscribe here). To make it easier for you, we’ve embedded some of those videos right below. When the first 3 Series was launched in 1975, it revolutionised the segment and became BMW’s most successful model. The sedan is the core of the 3 Series range – BMW says over 15 million units have been sold worldwide – and for everyone at the company, its 7 years development cycle is equally challenging and demanding. The production process is also quite complex and shows the amount of engineering that goes into designing a car like the 3 Series. BMW’s seventh-generation 3-series will have wider tracks, a longer wheelbase, less weight and better aerodynamics. Along with a cleaner exterior design, the car will have a revised cockpit with BMW Intelligent Personal Assistant. The new car is 85mm longer than its predecessor at 4,709mm, 16mm wider (1,827mm) and just 1mm taller (1,442mm). Added to that, its wheelbase has been extended by 41mm to 2,851mm, as has its track widths (front by 43mm, and rear by 21mm). Developed under the internal codename G20, the basis for the new 3 Series is the flexible CLAR platform, which also underpins the larger 5- and 7-Series. Claimed to contribute to a 55kg reduction in kerb weight in at least one of the initial five launch models, it also brings a new suspension technology that sees variable dampers made available for the first time. It also gets new driver assistant features, including standard lane departure as well as a collision and pedestrian warning with a city brake function. In the US, the 2019 BMW 330i will arrive in March 2019 with a starting price of $40,250 plus $995 destination. The 330i xDrive sedan will start at $42,250 plus $995 destination. The M340i and M340i xDrive Sedans will arrive also in Spring 2019, while the 330e is delayed by nearly a year. Pricing for both models will be released at a later date.